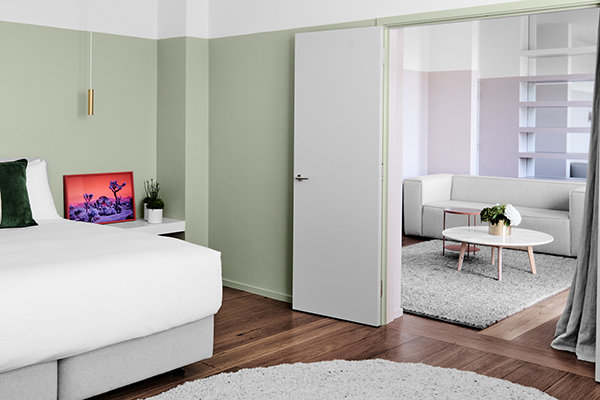 St Kilda’s Prince of Wales Hotel has been a Melbourne landmark since 1936, but its current status as a boutique hospitality destination was cemented only two decades ago with an interior transformation by Powell & Glenn Architects. 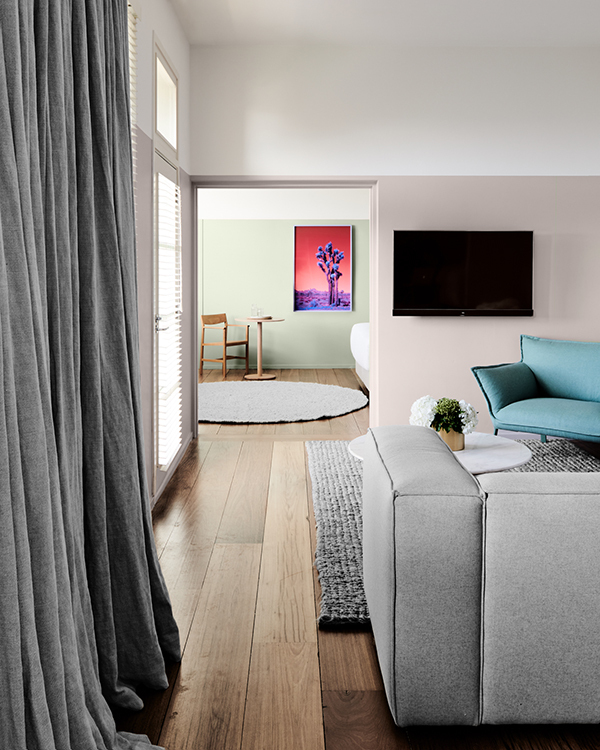 We were excited to be part of this iconic hotel refurbishment in the late 1990s and we’re equally thrilled to have played a role in its latest redesign by working with the wonderful Megan Hounslow and Melanie Beynon from Meme Design. Meme Design is a Melbourne-based architecture and interior design studio known for their authentic and timeless residential, commercial and hospitality projects. These include the Urban Attitude concept store at Highlight Melbourne, the NGVI Bookshop in the foyer space of the National Gallery of Victoria and Melbourne’s hospitality venue AERIAL. Meme’s redesign of the Prince of Wales is another example of their beautiful and innovative designs. Our relationship with the Prince of Wales started back in the 1990s. Paul Hecker, of award-winning Melbourne design studio Hecker Guthrie, designed the Prince of Wales’ Circa restaurant late in the decade with architect Allan Powell and collaborated on the design of the hotel’s interiors and guest rooms that included custom wicker pendants by ISM Objects. The new design features a softer palette of alternating textures and hues, which reference the hotel’s beachside location. The furniture is a showcase of local and international designs from brands such as HR McCarthy, Jardan and Nood Co while the lighting is designed and handcrafted in Melbourne by our very proud ISM Objects team! 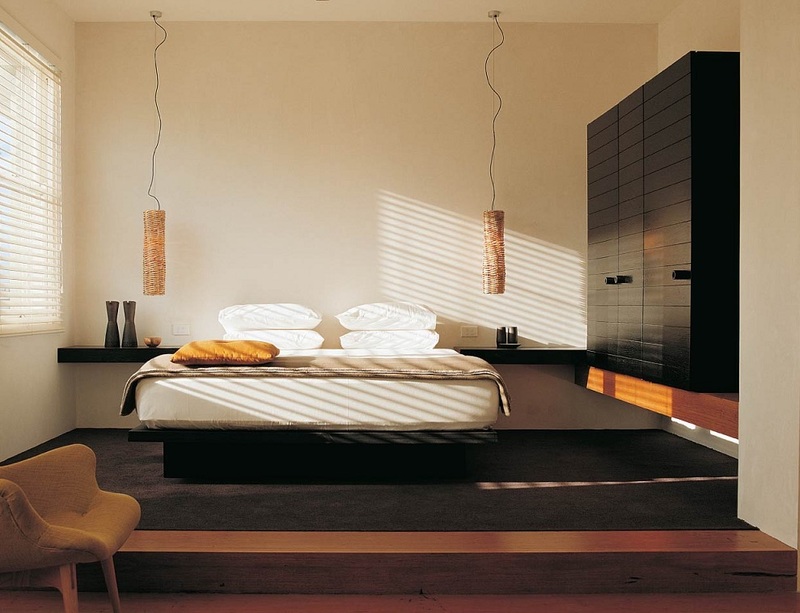 Meme selected our Luxe pendants and Shady floor lamps for the Prince of Wales guest rooms. The Luxe pendants are elegant tubes of polished brass that bring understated luxury to each room. They are available as a full voltage fitting with a G9 LED lamp or low voltage fitting with G4 LED lamp. Our Shady floor lamps, designed by Daniel Barbera, come from a fun family of lights inspired by a classic spun aluminium shade. 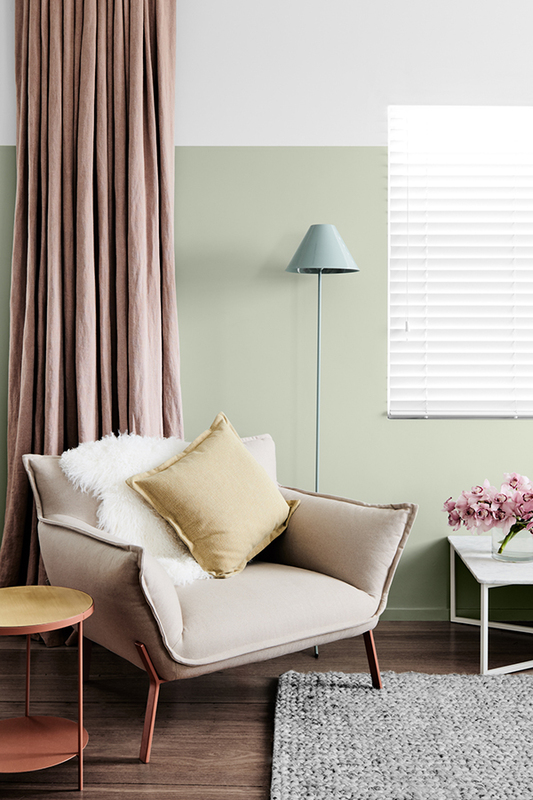 The floor lamp has a steel base with matching powder-coated shade – Meme selected a beautiful pale green hue to match the beachside inspiration of the interior. As a brand passionate about local design, it’s so satisfying to be involved in the design of a local institution like the Prince of Wales Hotel. It has undergone two iconic transformations in the past two decades and we’re proud to have played a role in both of them. Creating lighting designs for Westpac’s Kogarah office was a big deal for ISM Objects – and we mean that quite literally. Hassell Architects worked with Lendlease to transform the 25-year-old building into an open, dynamic workplace and innovation hub. We were engaged to help show the 30,000 sqm workspace in the best possible light. Some of the designs are as long as four metres in length and make a big impact in the vast space. The design accommodates the bank’s activity-based working model by incorporating a range of settings for larger groups, such as collaboration lounges, team tables and workshop spaces, as well as quiet zones for focused work. The innovation hub, which is a standout feature of the design, is dubbed ‘The Hive’ because of its the honeycomb form of its ceiling and the buzz of activity that goes on inside it, which includes the testing of new products and services. In addition to the use of many ISM Objects’ standard products, such as our I Do up-down wall lights and Shady pendants, we were also called on to create customised versions of some of our existing designs. Our powder-coated aluminium Can lights, for example, are usually surface mounted but for this project we supplied both standard and modified versions that suspend from the ceiling. We also custom designed a number of tapered fabric pendants, which incorporated Signature Prints amazing wallpapers. 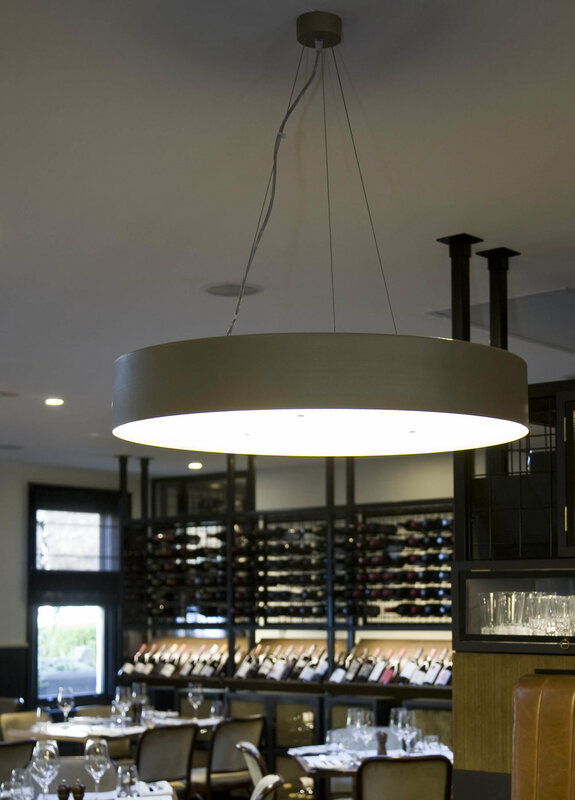 The pendants feature Florence Broadhurst patterns on the inside so when people look up, they can glimpse the beautiful fabric lining inside these large 1100mm and 2000mm diameter lights. Other custom fittings included 1800mm super long versions of our rounded aluminium wall lights, as well as oval pleated GX-style pendants that measured a colossal 4000mm in length. The logistics of making, packing and shipping such large designs could have posed some challenges, however our fantastic team was able to make light work of all stages and ultimately contributed to a fantastic interior that makes a big impression. The Melton Library and Learning Hub by FMJT Architecture has set the benchmark for sustainable civic design in Australia. Built with the aim of revitalising and re-energising the local community, the project has received multiple awards for design excellence. FMJT (Francis-Jones Morehen Thorp) is led by Design Director Richard Francis-Jones and Managing Director Jeff Morehen. The studio’s dedication to design excellence and the enhancement of the public domain is evident in their award-winning work, which includes the Auckland Art Gallery, Newcastle Museum and Macquarie University Library. Set over two levels, the Melton Library and Learning Hub comprises a theatre and lecture rooms as well as recording and editing studios for use by local education centres. The building's orientation and facade is designed to maximise natural light penetration, which helps to minimise electricity consumption. It also achieved a 92 per cent recycling rate from the demolition of the previous buildings on the site. It is the first library in the country to be awarded a 5 Star Green Star - Public Building Design rating by the Green Building Council of Australia. We enjoyed working with FJMT to supply lighting designs for this award-winning civic space. 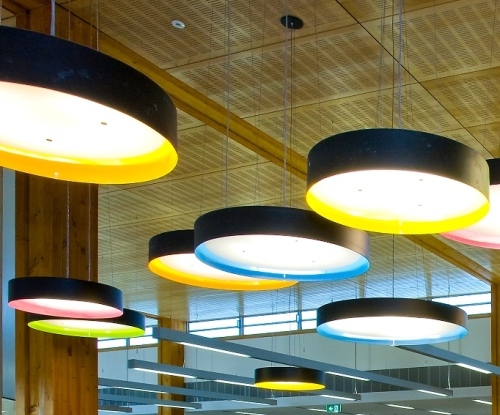 Our black Boss Pendants were customised with brightly coloured interiors to reflect the playful library interior. 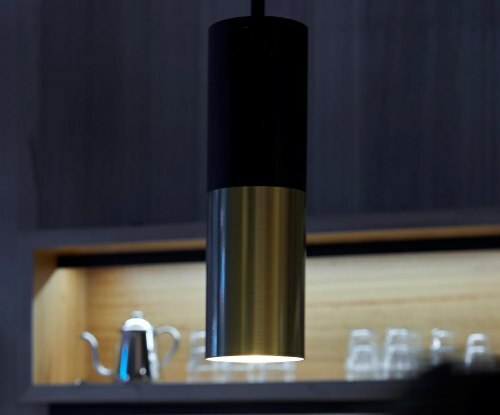 The slimline circular pendants are made from spun aluminium and the light source is a choice of dimmable LED modules with either warm or cool colour temperatures. The Melton Library and Learning Hub represents a vibrant and inspiring community asset and sets a new standard in sustainable design. 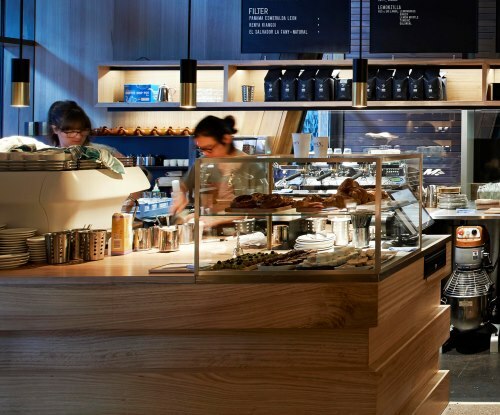 The warm timber interior of Story Coffee & Foodstore provides a welcoming retreat from the concrete corporate towers of Melbourne’s Docklands. The interior is by the wonderful Chris Connell Design and our custom lighting plays a key role in creating its intimate atmosphere. Chris Connell Design is responsible for the elegant interior of some of Melbourne’s hospitality institutions, such as Café e Cucina, Mr Wolf and Il Bacaro, which was inducted into the Design Hall of Fame at last year’s East Drink Design Awards. In addition to hospitality designs, this Melbourne-based architecture and interior design studio has been creating beautiful retail and residential spaces for almost 30 years. Design director Chris Connell is also co-founder of MAP international furniture and designs timeless, simple pieces with a strong attention to detail and a clear respect for materials. The Story Coffee & Foodstore exhibits the same qualities. 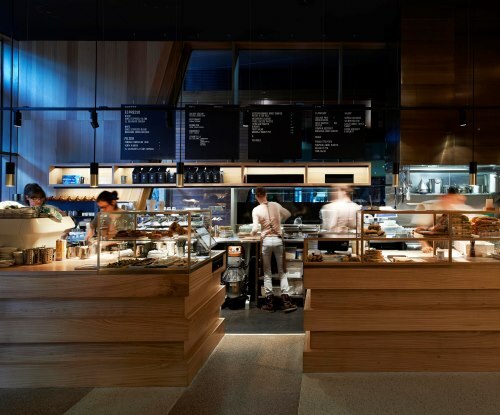 Located on the ground level of the NAB building development in the Docklands, it is part of the Dukes Coffee family of cafes, which Chris Connell also designed. The latest Dukes addition to the Docklands features smooth wooden panels and soft lighting via custom brass feature pendants that we had the pleasure of creating for Chris Connell Design. Made from spun brass with a contrasting black paint feature, the pendants complement the warm timber interior and add to the café’s elegant atmosphere. Techne Architecture and Interior Design is responsible for the transformation of some of Melbourne’s best-loved watering holes, such as the Prahran Hotel, the Terminus in Abbotsford and the Bridge Hotel in Richmond. 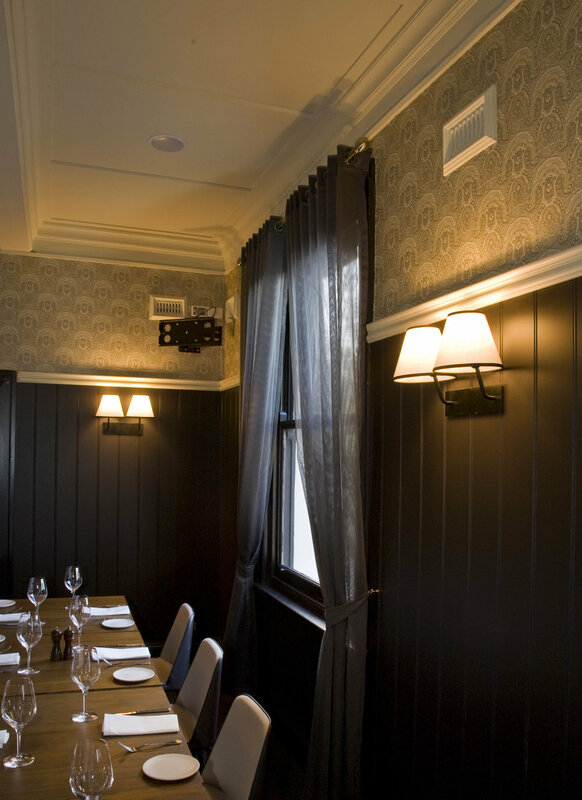 When they turned their award-winning design minds to another Melbourne institution, O’Connell Centenary Hotel in South Melbourne, they selected our Boss Pendants and Shady Table & Wall Lamps, which we modified to fit perfectly with Techne’s vision for the interior. Techne is highly regarded for their hospitality designs. In addition to hotels, they have designed the interior of restaurants such as Lee Ho Fook, Jimmy Grants and Movida, and the studio is also highly regarded for their commercial and residential work. 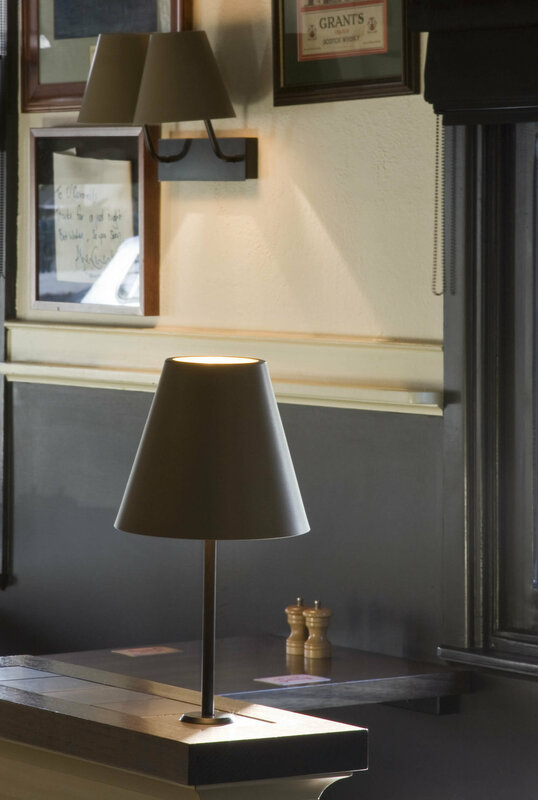 The iconic O’Connells was one of Melbourne’s first ‘gastro’ pubs and Techne’s refurbishment shows great sensitivity to both the history of the venue and its current patrons. Its character has been enhanced through modern additions and refreshed traditional elements. 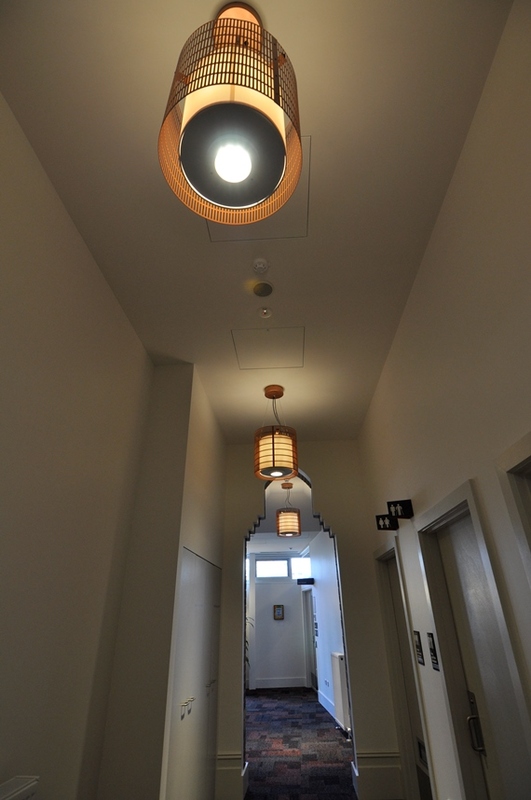 Lighting from ISM Objects has helped create the warm and welcoming atmosphere. Our Boss Pendants feature a circular pendant lamp and were made for this project in a custom bronze finish. 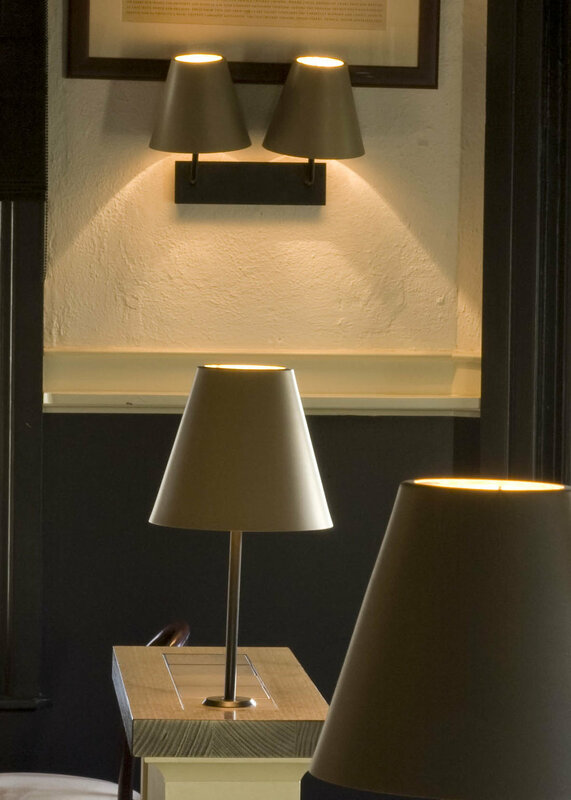 Our Shady Lamps, designed by Daniel Barbera, were also modified to suit the O’Connells interior design. 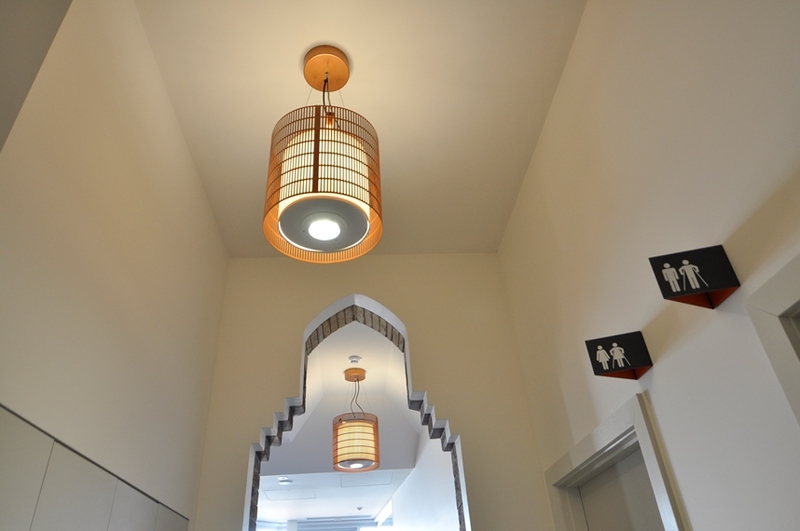 The wall lamps were customised as double fixtures while the lamps were fixed directly into the joinery. The refurbishment of this Melbourne institution shows great respect for the venue’s history. Techne describes the interior design as ‘evolutionary’ rather than ‘revolutionary’. We’ll drink to that. A 139-year-old building in Melbourne’s inner-city suburb of Carlton has a new purpose in life. The historic Kathleen Syme building has been transformed into a creative, learning and community space – the first of its kind of the area – and its $15.5 million refurbishment helps send the message that everyone is welcome. The Kathleen Syme building was previously used as a school and its transformation into a learning and communication hub is largely a response to the inner city's growing and diversifying population. 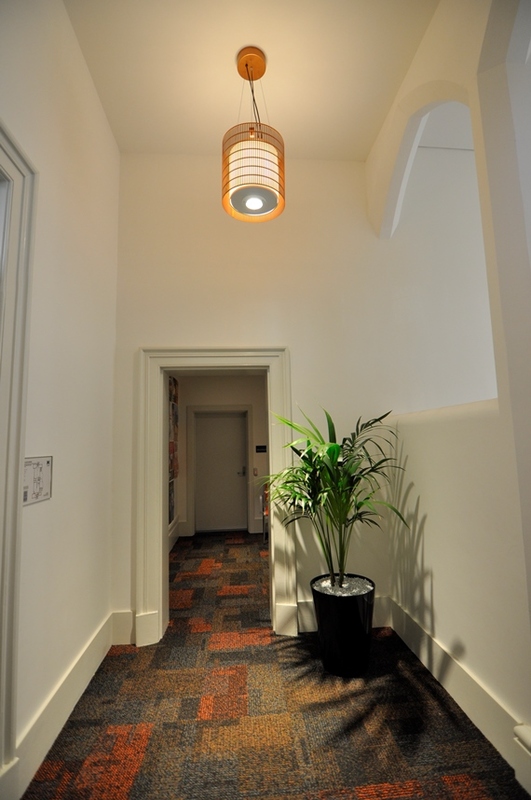 The City of Melbourne engaged Kerry Smith Interior Design for the building’s refurbishment and we supplied custom feature lighting for the interior, including surface-mounted can lights with a perforated finish and large feature pendants with perforated copper finish. 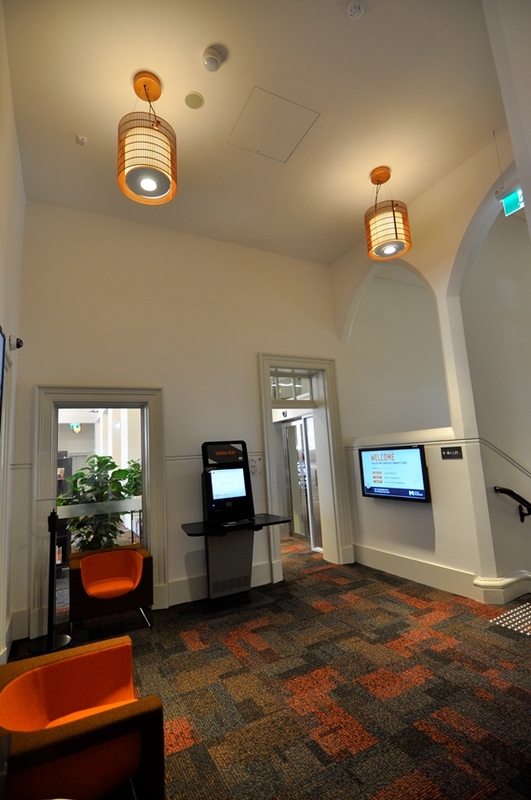 The Kathleen Syme Library and Community Centre’s new interior creates a modern and accessible environment where all members of the community can read, connect, learn and create. It features a social enterprise cafe, technology and conference rooms and a new library with more than 40,000 items. Around 10% of the books and materials are in Chinese, Japanese or Korean. The refurbishment of the Kathleen Syme Library and Community Centre creates a contemporary environment for the whole community and ensures this historic building is seen in a whole new light. 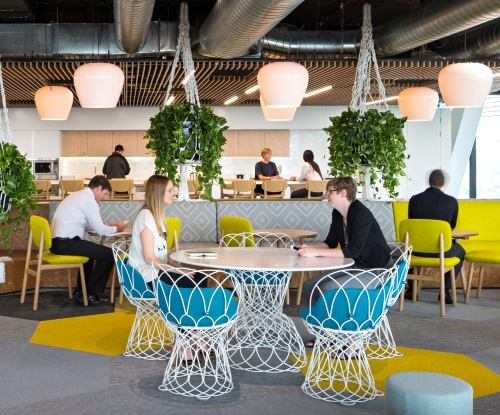 The interior fitout of Arrow Energy’s Brisbane office goes straight to the heart of what good workplace design is all about. It’s just what we’ve come to expect from leading interior design practice Geyer – and we’re pleased to say our Cognac Pendants from our Glass Collection add the perfect degree of light. Geyer specialises in workplace, retail, education and hospitality interior environments and is highly regarded – and awarded - for intelligent strategies and design solutions that support their client’s objectives and aspirations. The Arrow Energy office is a great example. 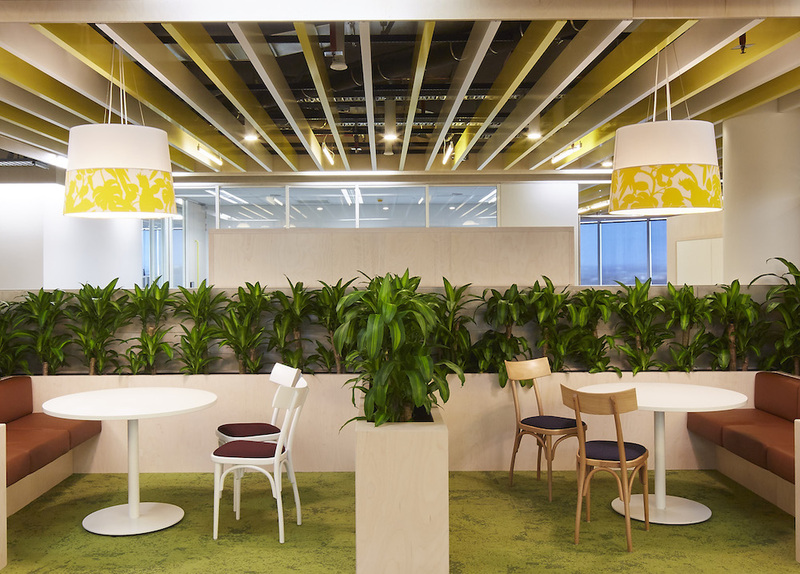 It promotes employee wellbeing while remaining flexible and green – and it clearly reflects the ‘one team’ culture of this fast-growing energy company. Our Cognac Pendants from the Glass Collection are an ideal fit for the Arrow Energy workplace. Designed by Keith Melbourne, the collection includes three designs - Latte, Cognac and Crystal – and each one is manufactured from durable, UV stable and fully recyclable Polyethylene. The Cognac design is a beautiful expression of Keith Melbourne’s newfound love of glassware and pays tribute to an iconic glass form. They are a fitting addition to the Arrow Energy office from this award-winning interior design practice.